It took a ceremony at city hall to accomplish what Louise Strangway wouldn’t allow while still alive – public recognition of her kindness. 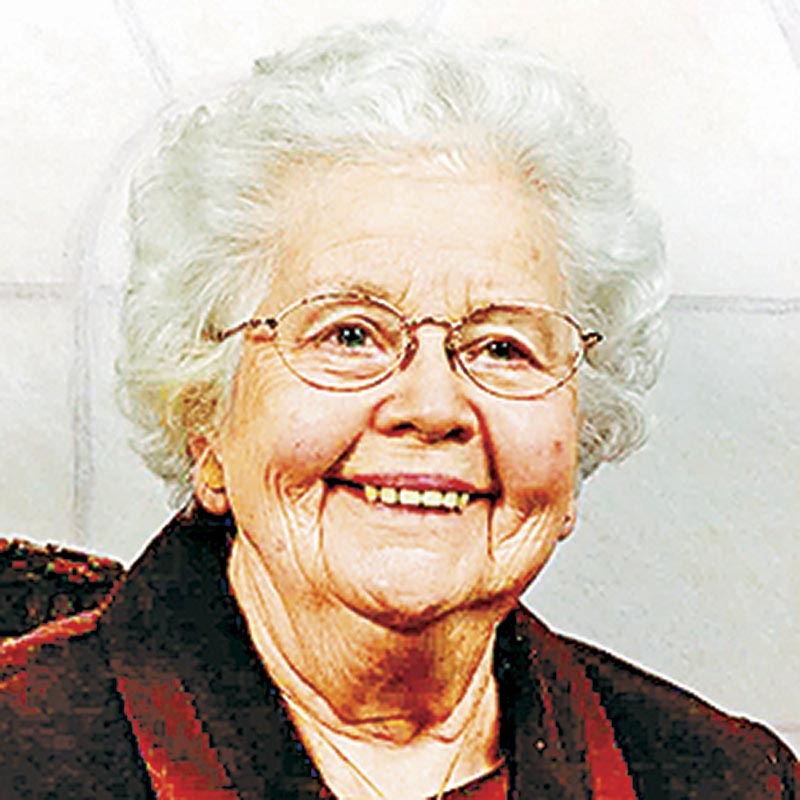 Recipients from five local organization rose one by one to accept cheques of about $200,000 each on May 16, their share of a remarkable $1-million bequest from the attention-shy woman. Strangway died at Sarnia’s Rosewood Manor on Feb. 27 at the age of 96. Though few people knew it, she had quietly been making large and anonymous financial donations to address various community needs for many years. Bernice Louise Strangway understood the importance of helping others despite a “rough childhood” growing up in the Great Depression, nephew Rob Weston said following the presentation. Lean years of doing without made her determined to see that others didn’t suffer as she had, he said. At her request, there was no funeral service or visitation, just a family graveside gathering at Wyoming Cemetery. Predeceased by her beloved husband Archie, Strangway played the organ at Mandaumin United Church for 25 years and was active in church work. The full extent of her largesse may never be known but Strangway had five “core” charities that she supported, often after befriending individual volunteers, drivers and other front-line staff. The common denominator of her largesse was a desire to help the most vulnerable, officials said. Grateful officials from the charities rose in city council chambers and explained what will be done with Strangway’s philanthropy. St. Joseph’s Hospice: will use the money to support and care for local residents in their final days. Victorian Order of Nurses: will create an endowment fund and provide training to home-visiting volunteers. Humane Society: will purchase equipment and a vehicle to rescue and provide first aid to abused animals. Canadian Red Cross: will fund its ongoing operations and 300-member strong volunteer programs. Salvation Army: will use to money to provide emergency food, shelter and clothing to the area’s most vulnerable. Sarnia Mayor Mike Bradley, who organized the public presentation, noted Strangway had specified that the money be used to benefit people and animals locally, not at the national offices.